Starring Rainbow Dash, this junior My Little Pony duvet cover and pillowcase set is sure to be favourite with fans. 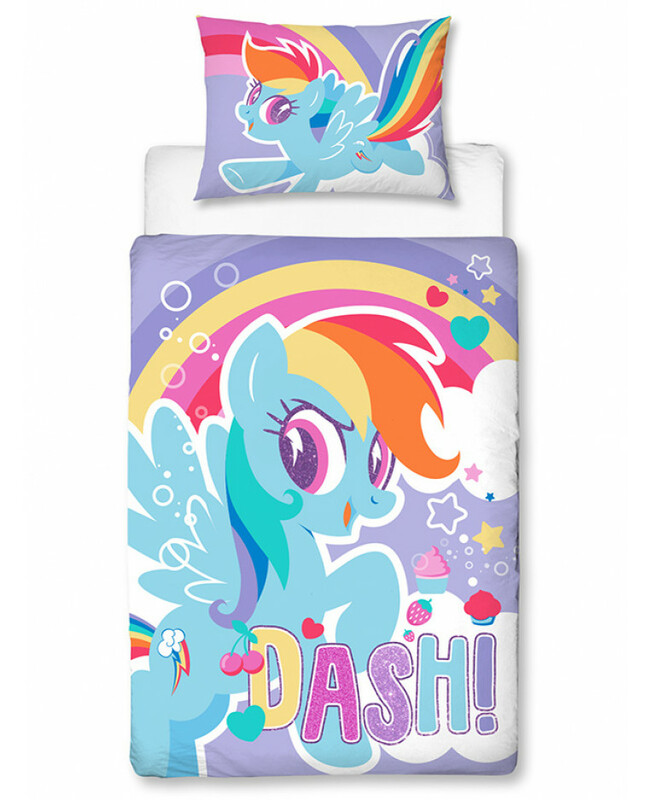 The design features a fun, colourful image of Rainbow Dash on a light purple background with a starry rainbow pattern. The duvet set is made from 50% cotton and 50% polyester, making it suitable for machine washing and tumble drying on a low setting. 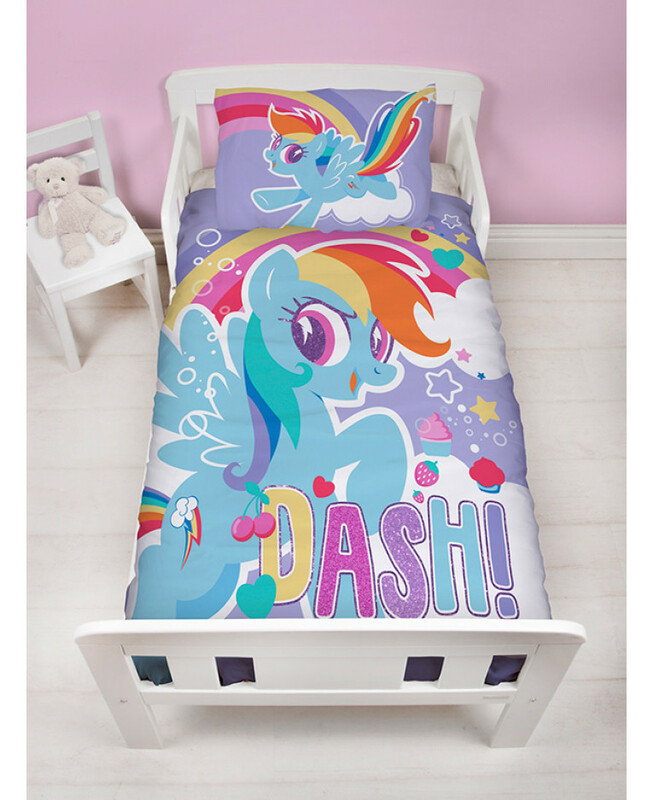 If your toddler is My Little Pony mad, then this is the bedding set for them!